On 22 January 1963, with the Royal Navy (RN) intending to withdraw its Fourth Submarine Squadron from its base in Sydney, the Minister for the Navy, Senator John Gorton, announced Cabinet approval for the purchase of eight Oberon class submarines for the RAN, though the order was later reduced to six. 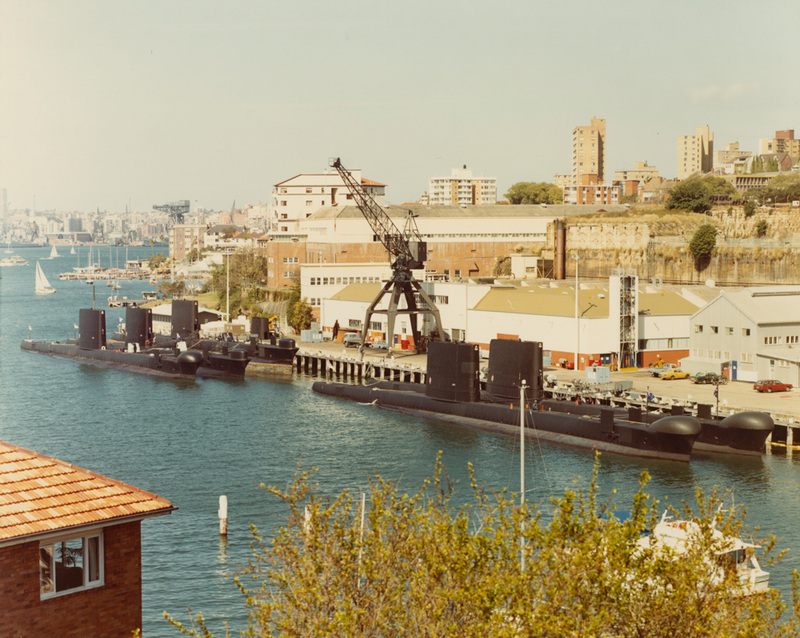 Although the first of the new submarines, HMAS Oxley (II), would not commission until March 1967, consideration necessarily turned to where the submarines might be based. Since World War II HMAS Penguin at Balmoral in Sydney had been used by the submarines of the Fourth Submarine Squadron but it was deemed unsuitable as a permanent establishment due to its exposed position. 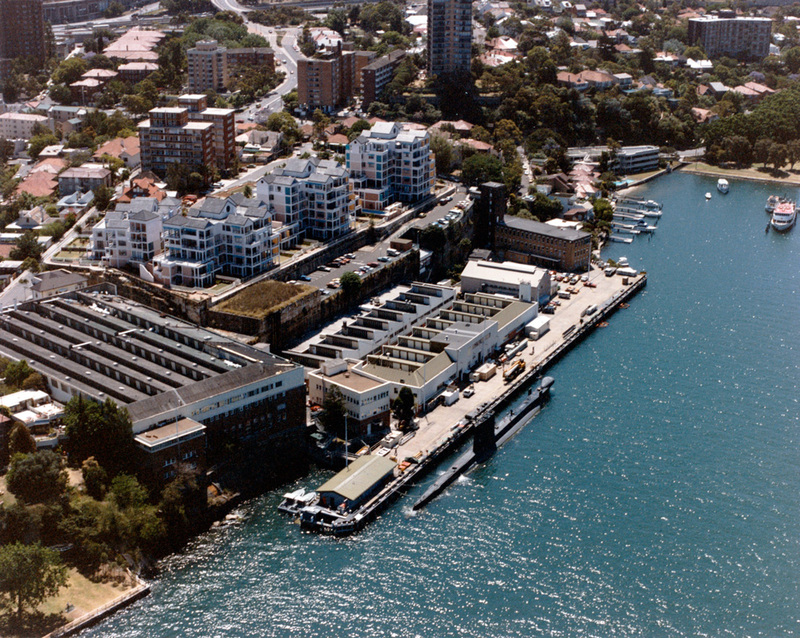 Neutral Bay, further inside Sydney Harbour, had, for many years, been used as a protected anchorage when weather conditions proved unsuitable at Penguin, and it was also home to the existing RAN torpedo maintenance facility. The availability of land close to an existing site, on a bay well protected from the weather, made it an ideal location for a naval establishment and in November 1964 an announcement was made that Neutral Bay had been selected as the preferred site for the RAN’s new submarine base. 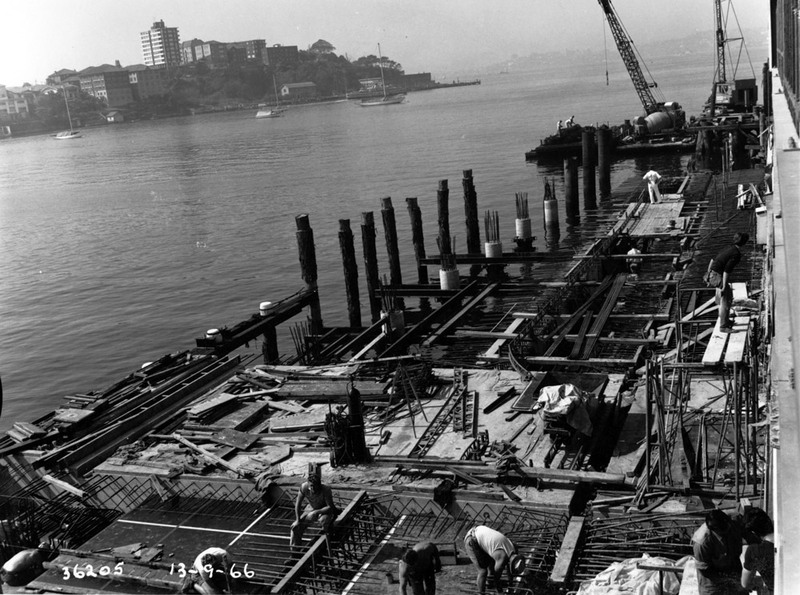 Construction of the main submarine wharf, July 1966. 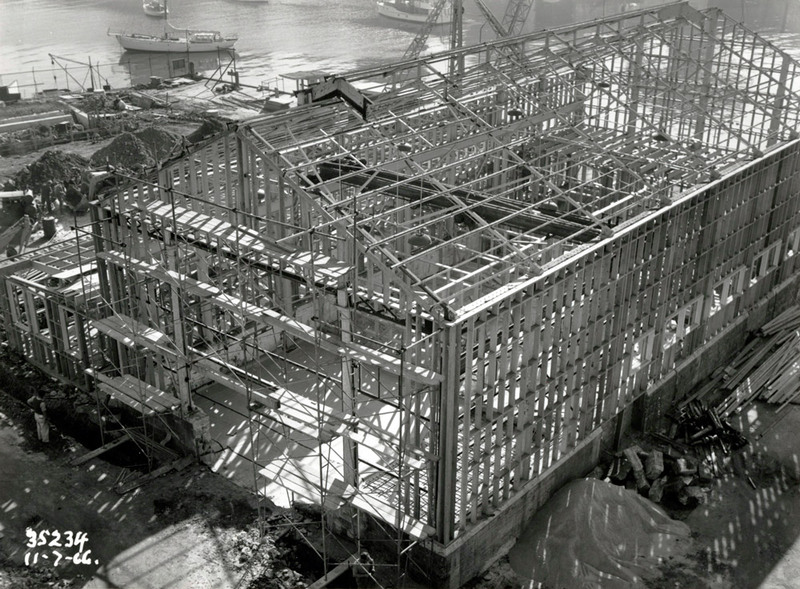 Support facilities under construction in July 1966. Navy News, 18 August 1967. Over the next 32 years, nine submarines operated from Platypus, six Australian Oberon class: Oxley (II), Otway (II), Ovens, Onslow, Orion and Otama, as well as HM Submarines Trump, Tabard and Odin. An aerial view of HMAS Platypus, circa 1990. Navy News, 4 December 1992. In 1994 the headquarters of the Commander Australian Submarine Squadron (COMAUSUBRON) was relocated to HMAS Stirling. This foreshadowed the introduction into service of the new Collins class submarines and a strategic decision to relocate the RAN submarine squadron to Fleet Base West, Garden Island, WA in support of a ‘two ocean’ navy basing policy. Five of the six Oberon class submarines nested at Platypus. 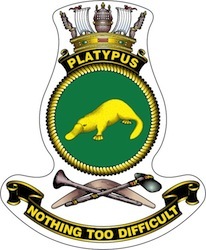 On 29 March 1999, Platypus bid farewell to the last of the operational Oberon class submarines. Onslow decommissioned on that day at Platypus while Otama departed Sydney for the last time on her way to her new homeport in Western Australia. Ceremonial divisions at Platypus with one of the six Oberon class submarine visible in the background. 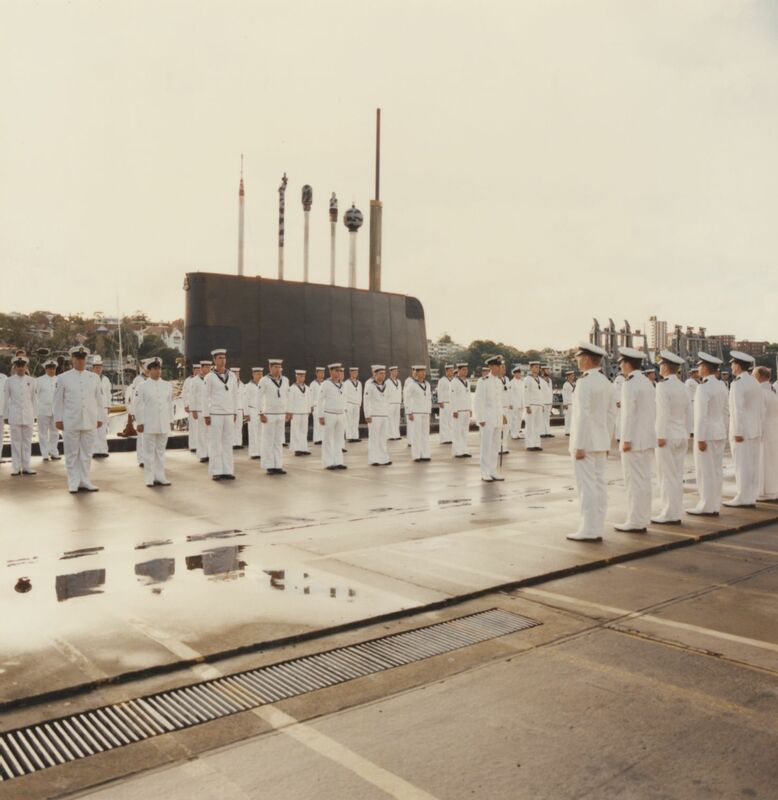 HMAS Platypus decommissioned on 14 May 1999 signifying the end of an era in Australian naval history. 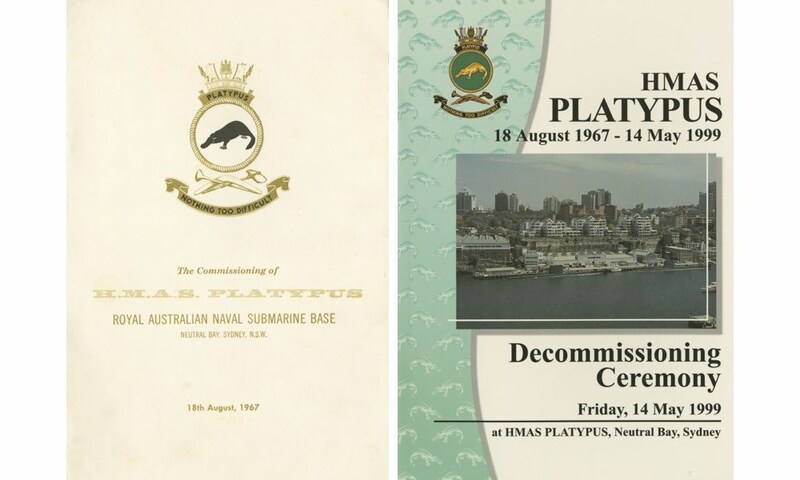 Left: Commissioning booklet of HMAS Platypus, c. 18 August 1967. Right: Decommissioning booklet of HMAS Platypus, c. 14 May 1999. Navy News, 19 April 1999. 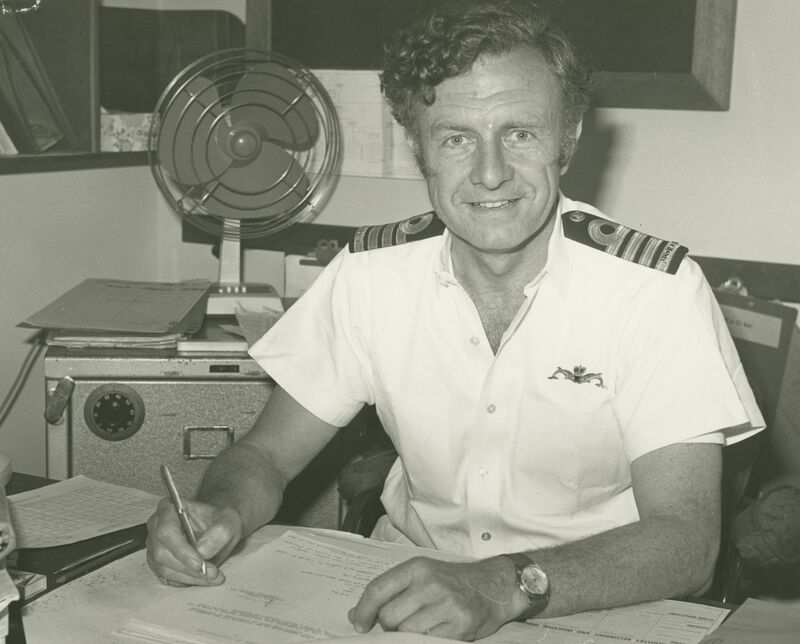 Captain WL Owen, RAN, the first Commanding Officer of HMAS Platypus.